The Eastern Canada Otolaryngology Society (ECOS) is a professional association of speciality physicians in the field of otolaryngology–head and neck surgery. Visit the ECOS website for information and upcoming events. The Review Course is for residents nearing the end of their training with a goal of preparing for the board exam, and for practising otolaryngologists seeking a thorough review of contemporary otolaryngology─head and neck surgery. The Review Course includes didactic lectures covering all major areas of otolaryngology─head and neck surgery and finishes with a morning of Royal College-style mock oral exams. Lectures will focus on the highest yield components of each topic. View the 2019 Preliminary Review Course brochure. Resident Research Day is held each year in the spring to promote development of research skills. Each resident, with the assistance of a preceptor, will develop a research paper and present on Resident Research Day. Appropriate papers will be submitted for the annual meeting of the Canadian Otolaryngology Society. 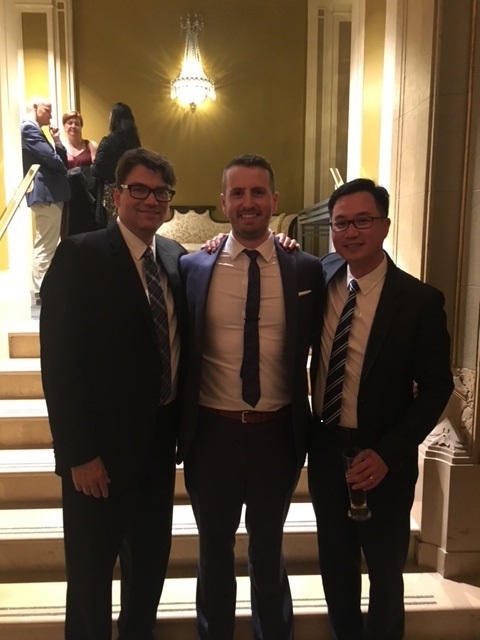 At this year's Canadian Society of Otolaryngology Annual Meeting in Quebec City, Dr. David Forner, won top prize at the Poliquin resident research competition. This was the first year that all papers were judged together (i.e. not basic science and clinical research separation), which means the competition was more fierce.